as part of the ‘Ghana beyond aid’ strategy. Osarfo Marfo. create jobs for the youth. primarily by the private sector. institutions have committed to fund viable 1D1F projects. women, rural communities and farmers. trees and oil palm stems. 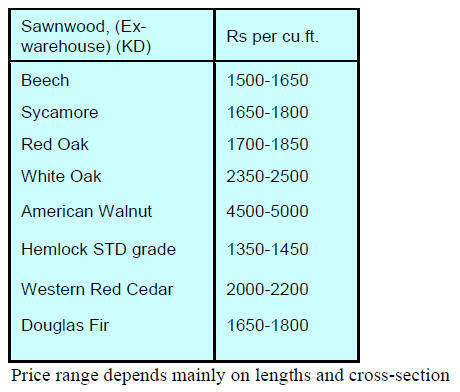 the same way as exotic rubberwood. are small and medium sized enterprises. management within Forest Management Unit 14.
the FLEGT licensing system will be upheld. Britain officially leaves the European Union. 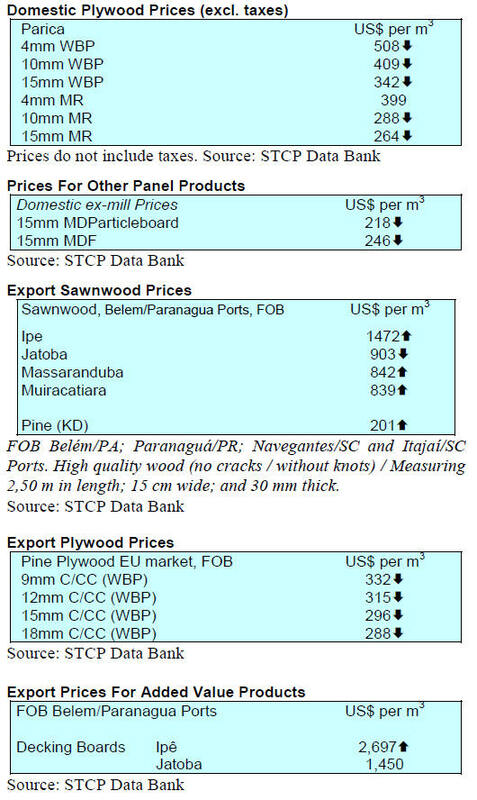 Indonesia's wood and timber products exports to the EU. and consumers on the security the FLEGT system offers. compared to US$6 billion in the first quarter. 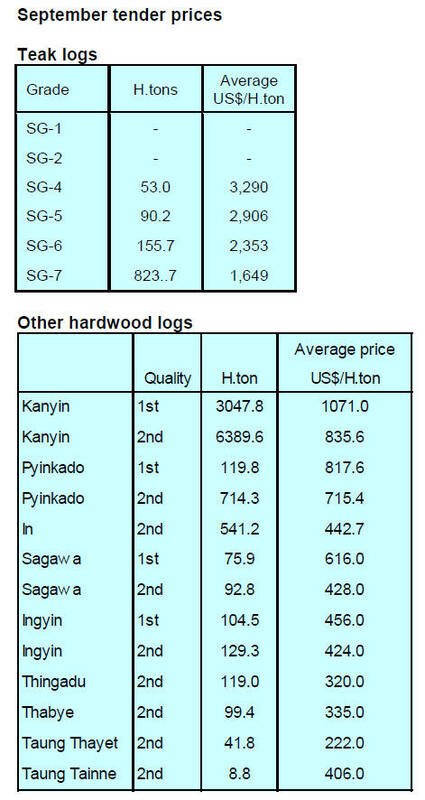 National People’s Liberation Front to sell log stocks. 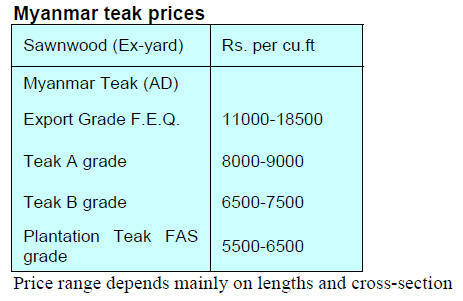 allowing the sale of a specific volume of logs. 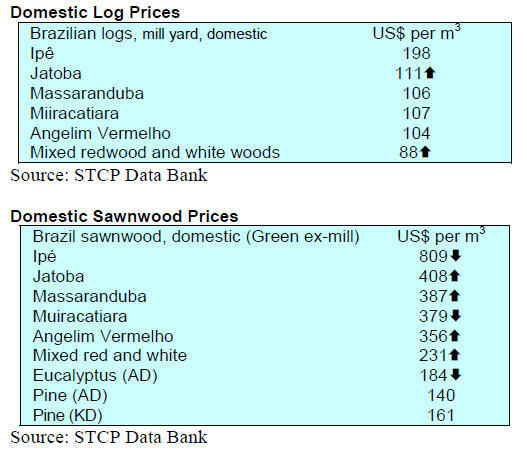 allow Non-State Armed Groups to harvest and sell logs. operations but were politically motivated. 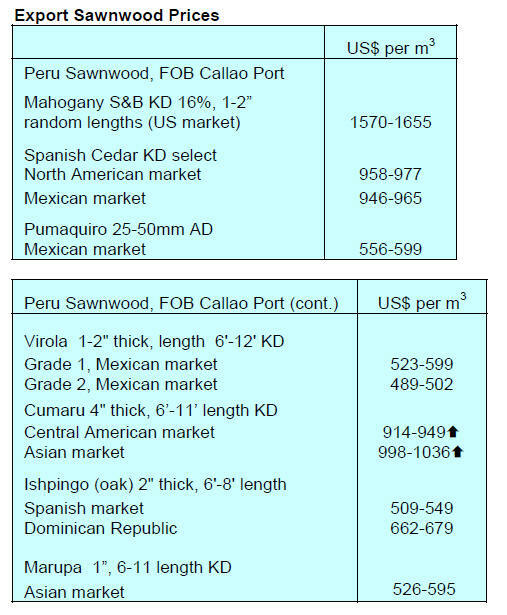 allowing the sale of these logs. address key governance issues in the extractive sectors. agreements with the State and payment of taxes. and the tightening border controls. hundreds of millions of dollars each year. 4.53% compared to 5.09% for the previous month. 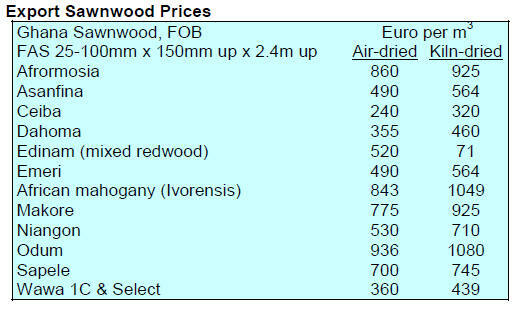 prices for sawnwood fell slightly in August. forestry, fisheries and mining sectors did slightly less well. boost from the weaker rupee. facilities for traders continues to be a major problem. intervene to support the rupee. hardwoods remain unchanged from a month earlier. 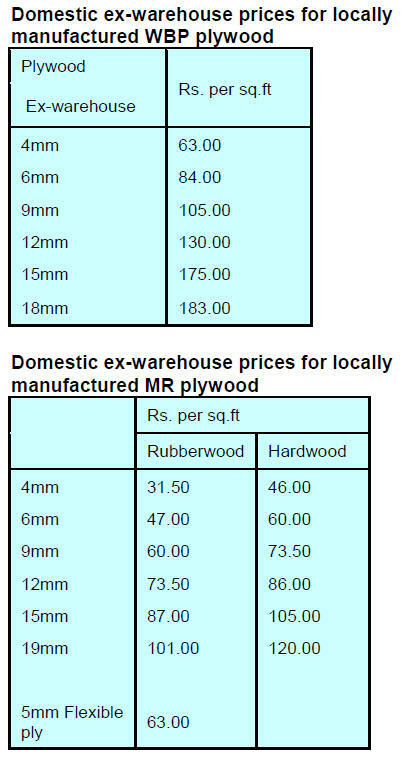 able to raise margins through the recent price increase. the impact this has on production costs. 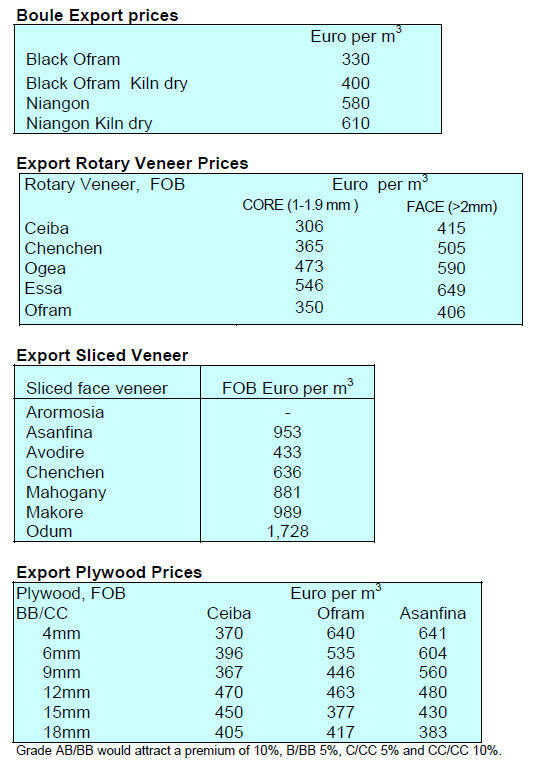 prices due to higher import costs. 75%, from 27,700 km² to 6,900 km². 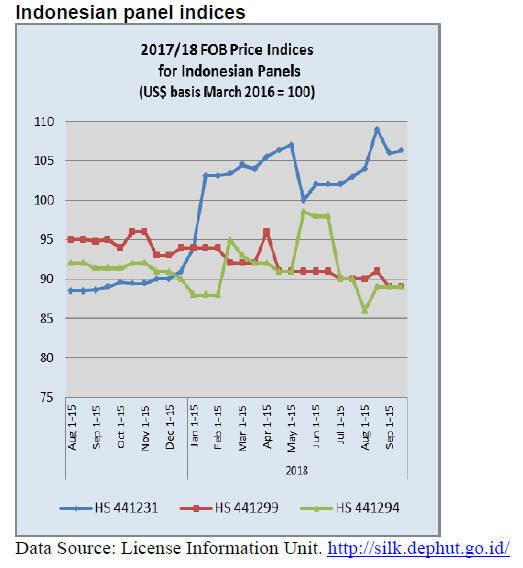 deforestation rate rose and moved up and down until 2017.
infrastructure are putting the strategy at risk. 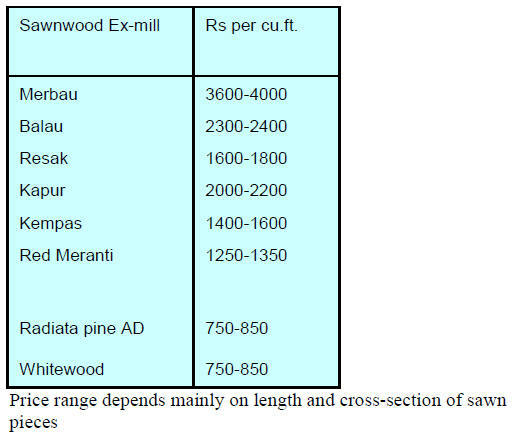 deforestation and legal land clearing. the same period, from 177,600 cu.m to182,800 cu.m. 12,900 cu.m (US$6.1 million) in August 2018. Brazilian Institute of Geography and Statistics (IBGE). further 9% increase compared to June. 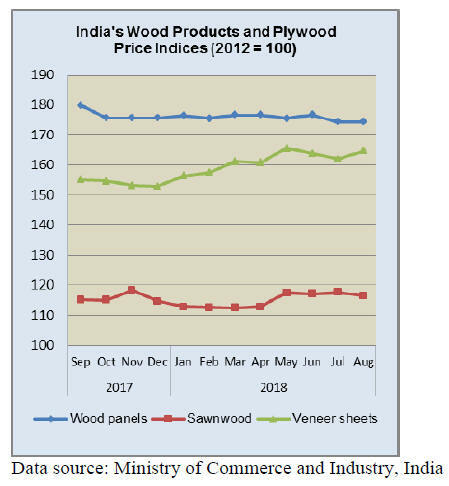 value of exports in the same period in 2017.
promote the development of the forest industry. representing over 60% of the total. parquet, moldings and other profiled wood.